National Security dominated the 2004 presidential election. Much of George W. Bush’s first term involved his response to the attacks of September 11th. In the immediate aftermath, the Bush Administration pushed for a variety of new programs, initiatives, and laws to help combat the amorphous threat of terrorism. 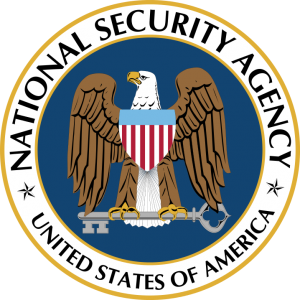 The most notable of these efforts was the Patriot Act of 2001, which provided the federal government with an expansive set of investigative and surveillance powers. The Bush Administration also created the Department of Homeland Security (DHS), a cabinet-level department that consolidated the work and authority of several existing federal agencies to better administer internal security measures. These changes passed with broad bipartisan support. Bush also saw military responses as an important part of his national security policy. He identified terrorism in general, rather than Islamic terrorism specifically, as an “ideology of hatred” that required both vigilance at home and action abroad. In October 2001, Bush had authorized Operation Enduring Freedom to attack al Qaeda and the Taliban in Afghanistan. This initial action shortly following the attacks was extremely popular, and it chased the Taliban from much of the country. More controversial was the 2003 decision to overthrow Saddam Hussein’s government in Iraq. Though Congress overwhelmingly passed the authorization of military force, a vocal antiwar movement criticized the president’s action as illegal or distracting from the “real” War on Terror in Afghanistan. Bush made national security the heart of his re-election campaign, using it to portray himself as a strong, decisive leader, willing to make tough decisions to protect the American people. It was a reasonable gamble. Bush’s approval rating had soared following the 9/11 attacks, the highest numbers ever recorded by Gallup, and this rally effect had lasted for the three years that followed (aided by initial successes in Iraq). The president’s foreign policy, particularly the war in Iraq, provided the defining issue for Democrats to debate in their search for a nominee. The centrality of national security put the Democratic Party in a difficult place, mainly due to Republicans’ natural polling advantage on the issue. Many of the Democratic contenders had supported much of the president’s domestic national security agenda and the invasion of Afghanistan, making it difficult to criticize those facets of national security too much. In addition, several high profile incidents, such as several anthrax scares and the attempted shoe- bombing by Richard Reid in December 2001, demonstrated for many Americans the importance of Bush’s national security laws, and dampened criticism from civil libertarians. Many candidates tried to argue they would be better stewards of the new national security apparatus than Bush. Many highlighted Iraq as a mishandling of the War on Terror. This gave Bush further justification for discussing the still-popular war as a national security issue. If they hoped to challenge Bush on national security, Democratic candidates focused on the Iraq War. The party’s base was more antiwar than the rest of the country. Vermont governor Howard Dean tapped into this sentiment to generate early momentum. Dean attacked the other Democratic candidates for either supporting the war, or trying to act as if they opposed the war after voting for it. This became the basis for his broader campaign to represent what he called “the Democratic wing of the Democratic Party.” Dean’s antiwar position also helped to generate the brief candidacy of General Wesley Clark, who tried to use his military experience as a position of strength from which to argue against the war. Massachusetts senator John Kerry was the party’s front-runner early in the nomination process. He used his background as a Vietnam War veteran to downplay accusations of being “soft” or a “Massachusetts Liberal” on national security. Though he had voted in favor of authorizing the use of force in Iraq, his position appeared to drift in an antiwar direction, closer to Dean, heading into 2004. Opponents from both the left and right attacked Kerry for his inconsistency. It was in trying to address the Iraq issue that Kerry uttered his infamous claim, “I actually did vote for the $87 billion [military appropriation], before I voted against it.” This description, though accurate and loaded with fine legislative distinctions, would haunt Kerry even after wrapping up the nomination on Super Tuesday. The first debate between Bush and Kerry focused on foreign policy and national security issues, and opened with a question to Kerry on whether he could do a better job “in preventing another 9/11 type terrorist attack.” Here, and throughout the rest of the debate, Kerry voiced his concerns over Iraq, calling it a distraction from other national security concerns, and a unilateral action that unnecessarily squandered international goodwill following 9/11. When Bush tried to attack Kerry’s positions as both inconsistent and insufficient, viewers found his points unpersuasive, and Kerry gained in the polls. When foreign policy led off the second debate, Bush was well prepared. Again focusing on Iraq, he countered Kerry’s accusations of unilateralism, highlighting the coalition that fought in Iraq and Afghanistan. He attacked Kerry for dismissing allies, and questioned how the senator could effectively lead a multinational effort that he had already declared unnecessary. The candidates briefly disagreed on the Patriot Act. Kerry criticized Bush’s Justice Department with over-stepping the law’s limitations and calling for some restrictions on investigative authority. The president defended his actions, and reiterated that he would call for the act’s renewal in 2005. The exchange lacked specifics, and generated little additional commentary. Foreign, not domestic, policy defined the national security conversation in 2004. In a close race, national security was the defining issue, and allowed Bush and the Republicans to run on more comfortable ground. With strong support on the election’s key issue, Bush was able to win a tight, but broad-based victory. James W. Ceaser and Andrew E. Busch, Red Over Blue: The 2004 Elections and American Politics (Lanham, MD: Rowman & Littlefield Publishers, Inc., 2005). Robert E. Denton, Jr., ed. The 2004 Presidential Campaign: A Communication Perspective (Lanham, MD: Rowman & Littlefield Publishers, Inc., 2005). Daron R. Shaw, The Road to 270: The Electoral College and the Campaign Strategies of 2000 and 2004 (Chicago: The University of Chicago Press, 2006).